Some of our preferred local vendors include: Sislers Stone, Brown's Hardware, Remington Mulch Company, Stone Center of Manassas, Merrifield Garden Center, Rosslyn Automotive, Lee Highway Gas and Auto, Fairfax Dumpster Rental, and others. Terra Landscape and Design has a strong commitment to support and expand the local economy. This initiative is meant to build on that idea and develop even more partnerships with locally-owned businesses. Carefully select the plant that will thrive in its macro and microclimate. Native plants are adapted to our climate and, in general, require less additional resources to survive once planted. Organic mulches and other materials, developed locally with ingredients native to our area. 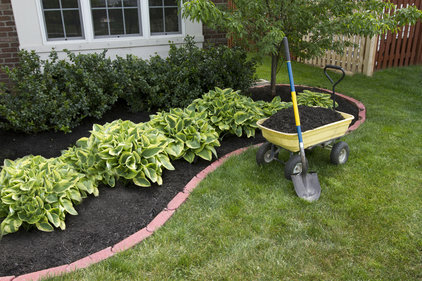 Mulch, whether organic or inorganic, helps reduce weeds, retain soil moisture, keep soil temperature low during hot weather and also aesthetically looks beautiful. We love mulch! Terra Landscape and Design has been professionally installing permeable pavers since the 1980s. Permeable pavers help reduce water runoff from your property which help reduce water drainage/erosion issues in our local community. 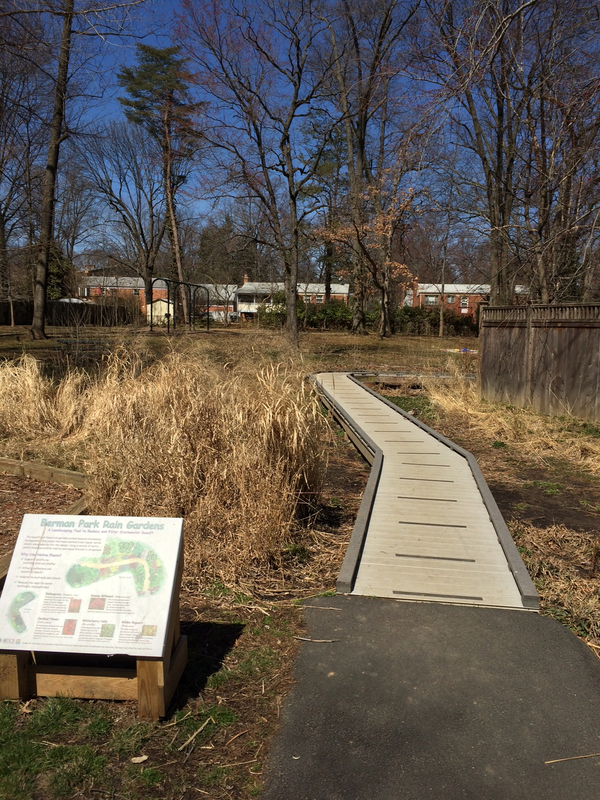 Photos of sustainable practices employed by Terra Landscape and Design: City of Falls Church Berman Park Rain Garden and boardwalk installation, planting native species, use of mulch, permeable pavers and dry creek beds. Sustainability is a goal that the community must work towards together. Contact Terra Landscape and Design to go over site-specific solutions to make your property more sustainable, beautiful and enjoyable.